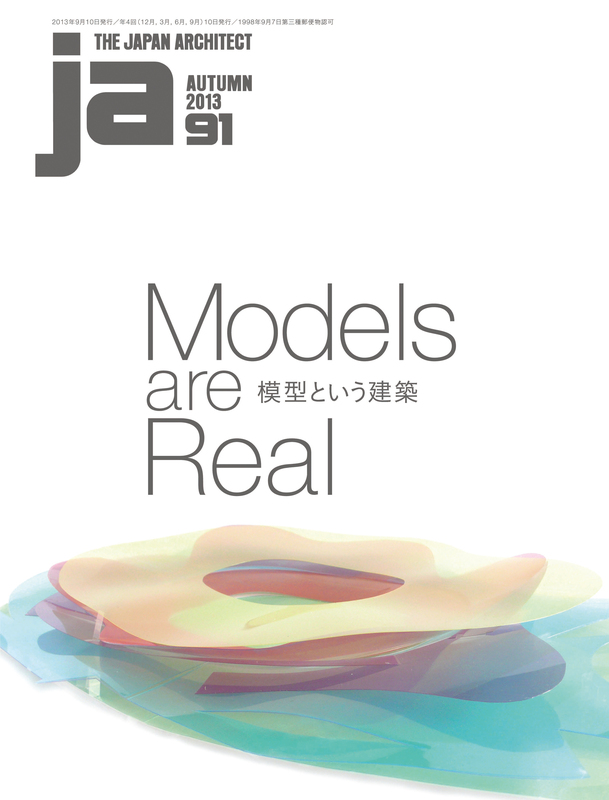 JA91 is a special issue devoted to the architectural model.Today, with the advance of simulation technology, architects possess wide-ranging tools for verifying and communicating their ideas, tools that are, moreover, easy to use. Still, many architects continue even now to construct models in various phases of the process from concept design to realization. The model can be an extremely attractive tool at times, for it embodies the architect’s envisioned “building” in a very pure form, never fixed and self-contained but always flexibly open to the building it seeks to become. Transcending its function as a tool, then, the model itself—as well as the architect’s actions in building it—serves as an expression of wide-ranging architectural possibilities. In this issue we examine 47 architectural models dating from the past to the present, all varying in materials used, scale, and purpose. None are models created simply with the aim of introducing a project. We hope to give readers a feel for each model’s beauty and utility, how it served in developing the architect’s thinking, and the concept it illustrates.